This is Rylie. He loves to dress up for Halloween and be something totally unexpected. From the wind up on his back to the way he walked. 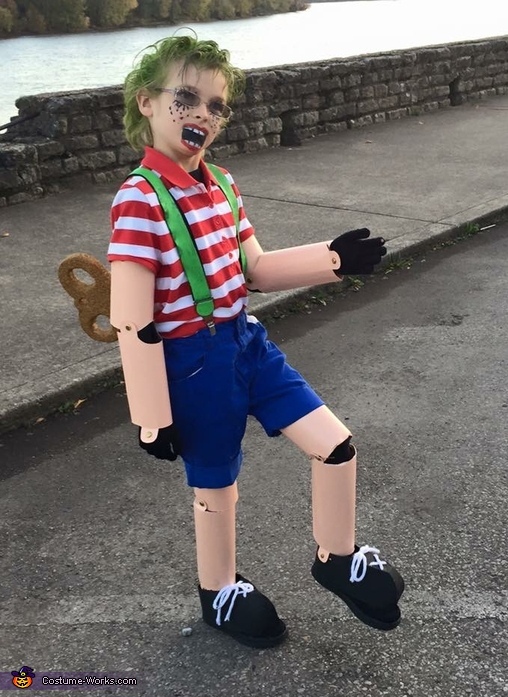 He loved being a wind up doll.